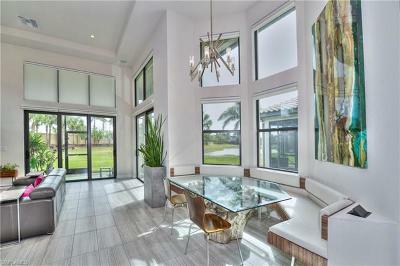 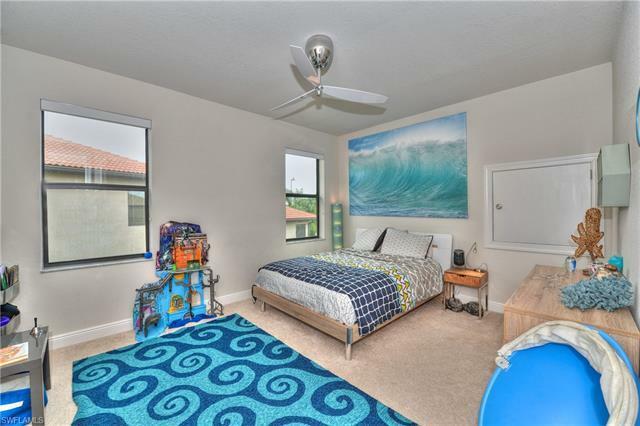 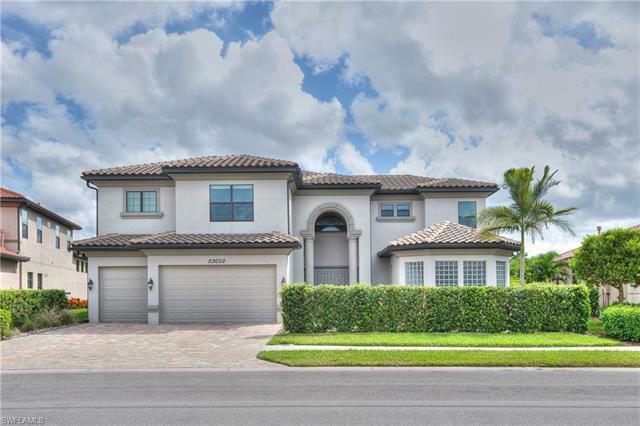 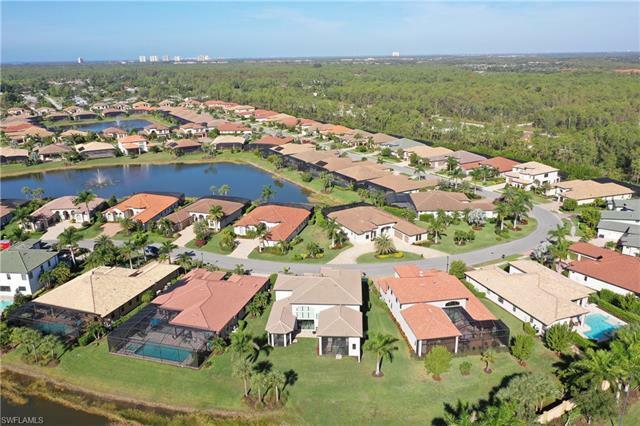 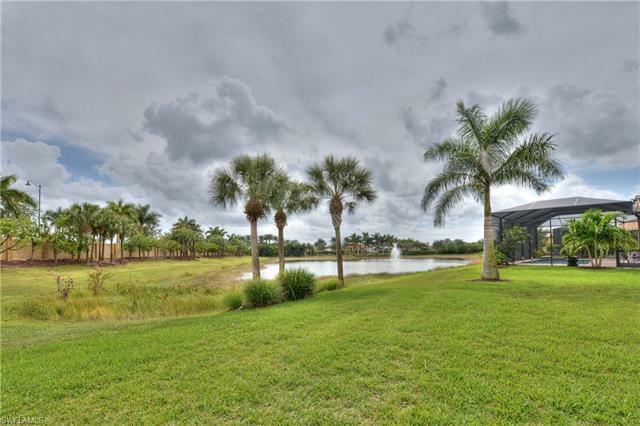 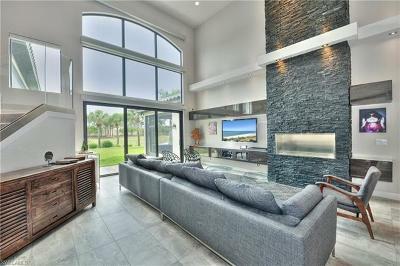 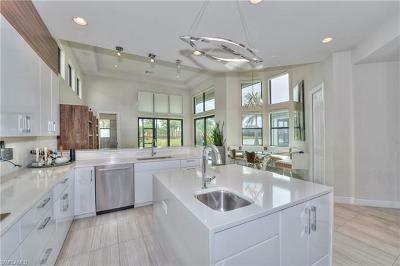 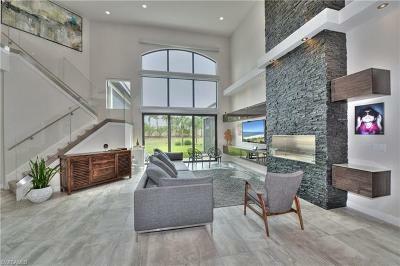 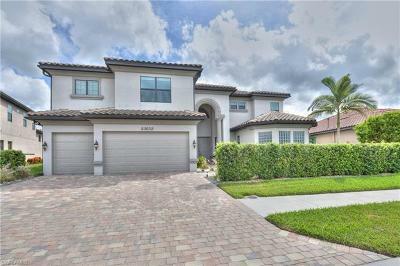 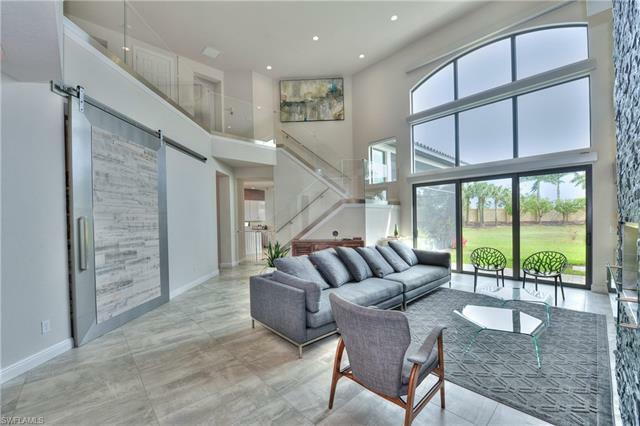 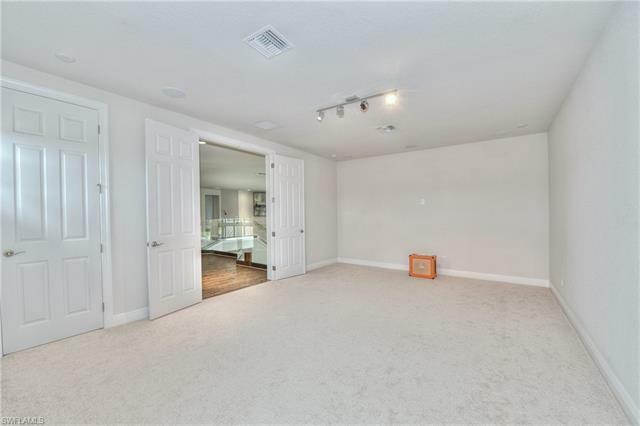 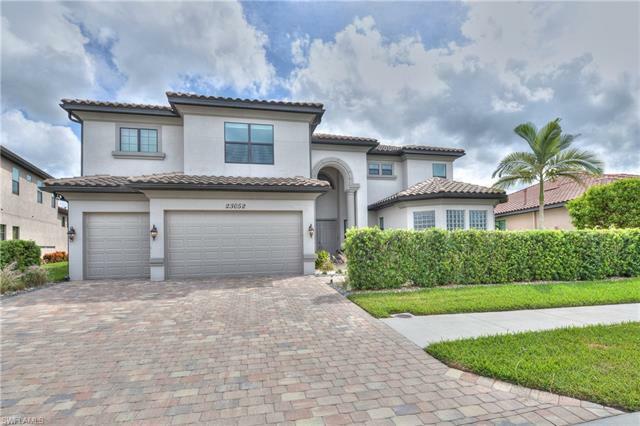 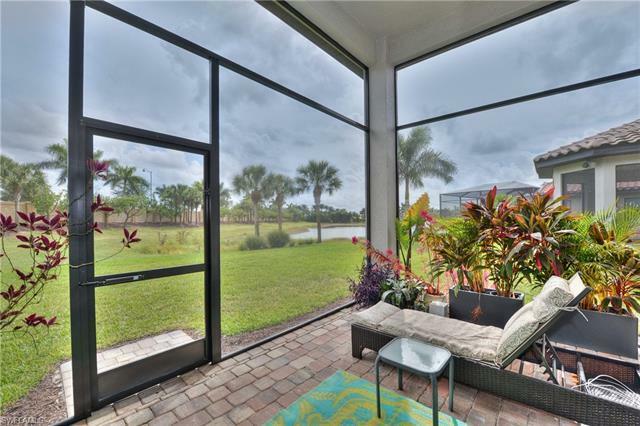 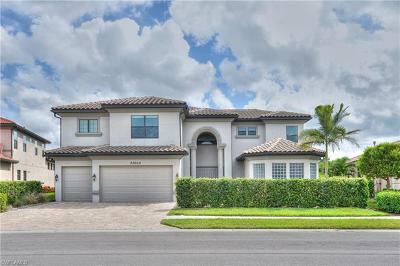 This lakefront home in Bonita Lakes, spread over 5, 100 square feet, is like new and wonderfully upgraded. 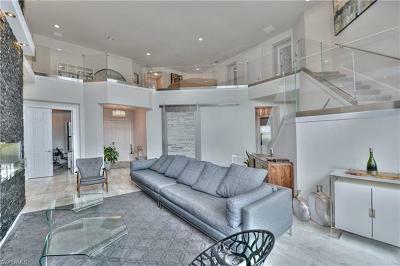 Finished in 2015, the home offers 6 bedrooms plus a den and 5.5 baths. 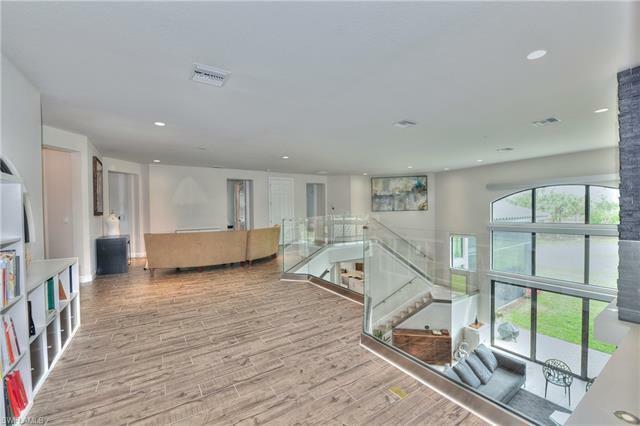 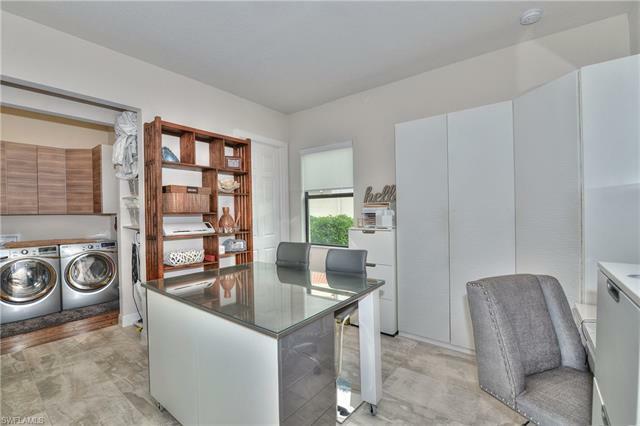 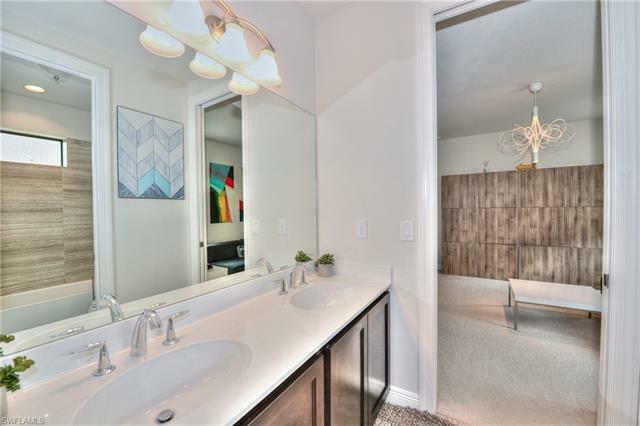 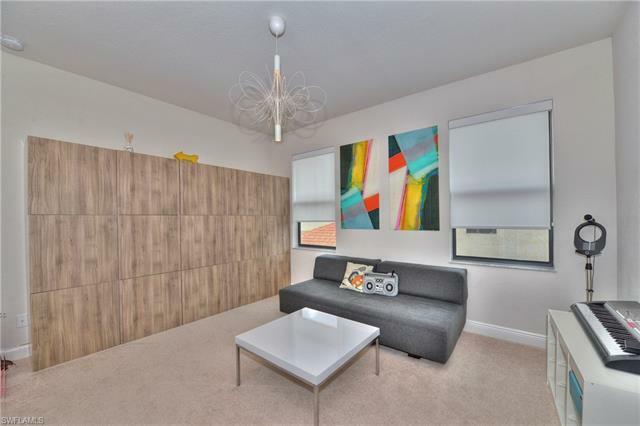 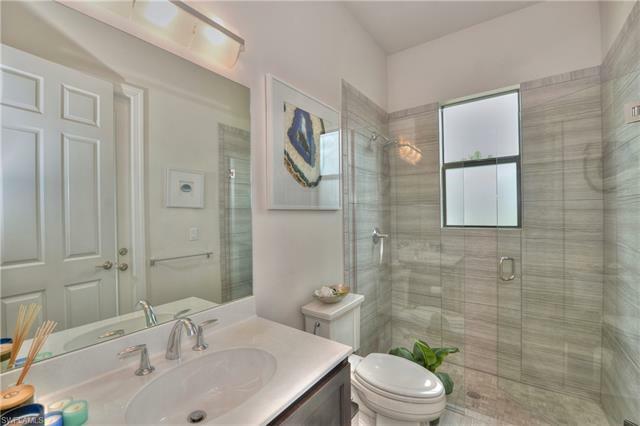 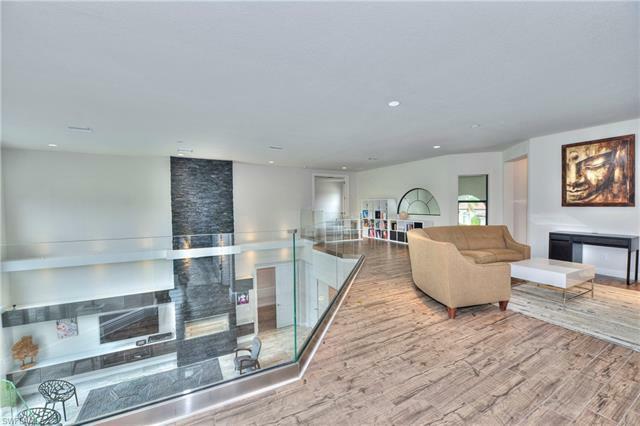 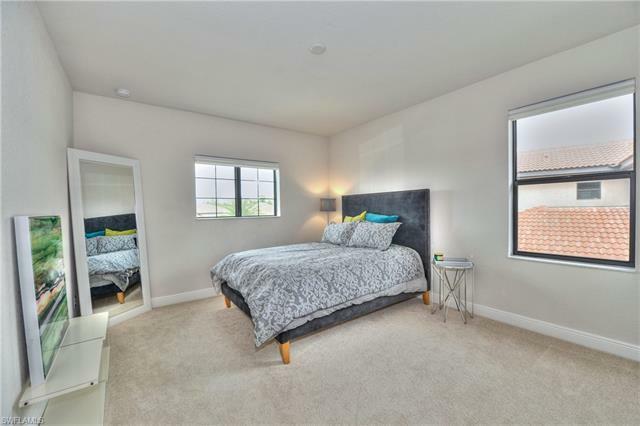 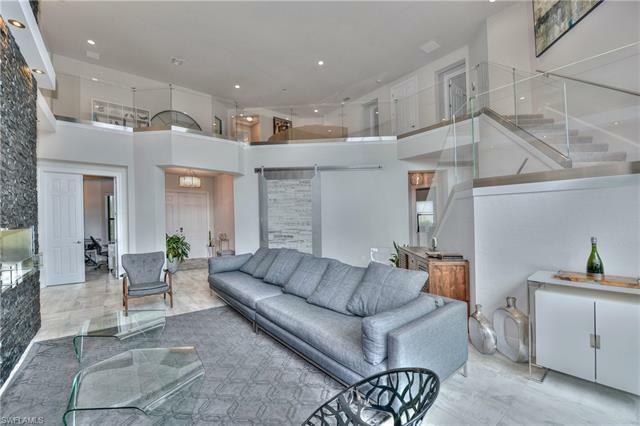 Already built to the highest standard, there are additional upgrades that were done above and beyond the builders finishes which make this home even more impressive. 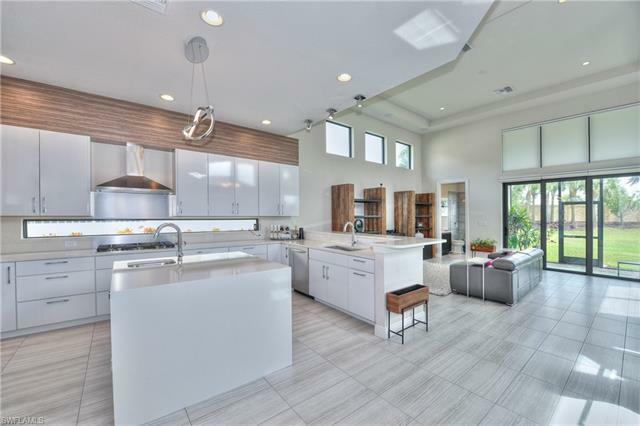 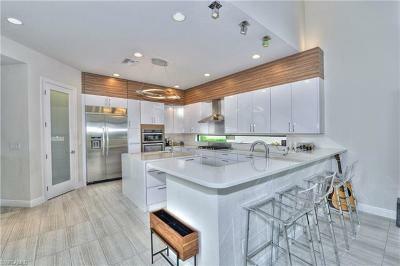 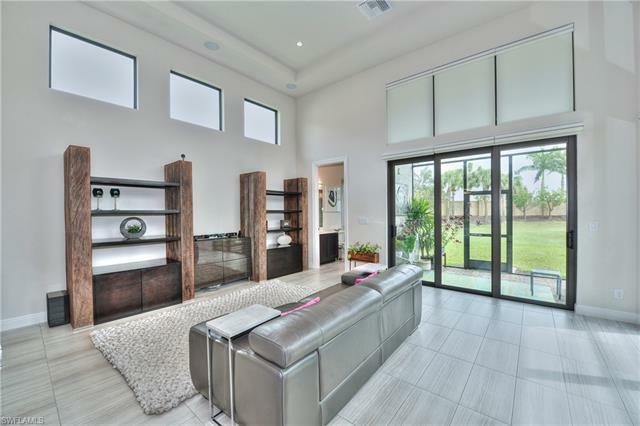 These include grey porcelain tile floors throughout the living areas; custom details and finishes; custom barn door, a glass railing staircase with LED lighting, a gourmet kitchen with white high gloss cabinets, a center island, gas cooktop, stainless steel appliances, custom glass backsplash and quartz countertops. Additional notables include large rooms and windows; custom blinds and a living room which features custom built-ins and a stacked stone bio fuel fireplace. 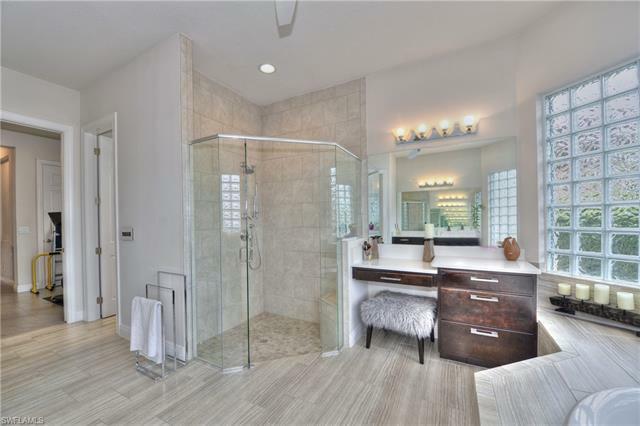 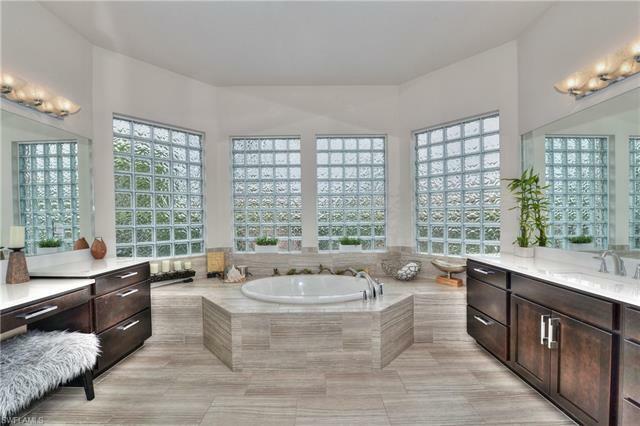 The master offers his and her baths with his and her built-in closets. 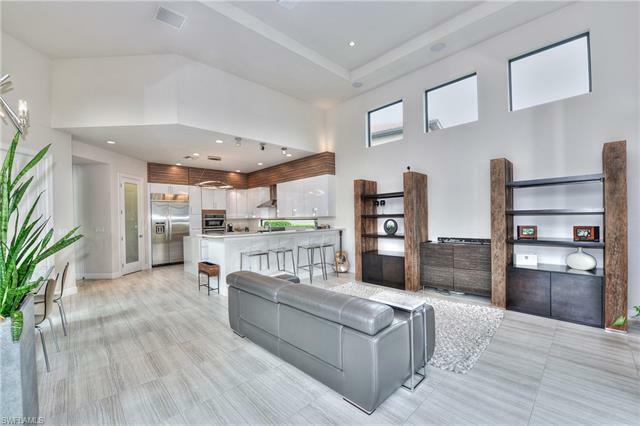 Utility features include a 3 car garage and a smart home lighting system. 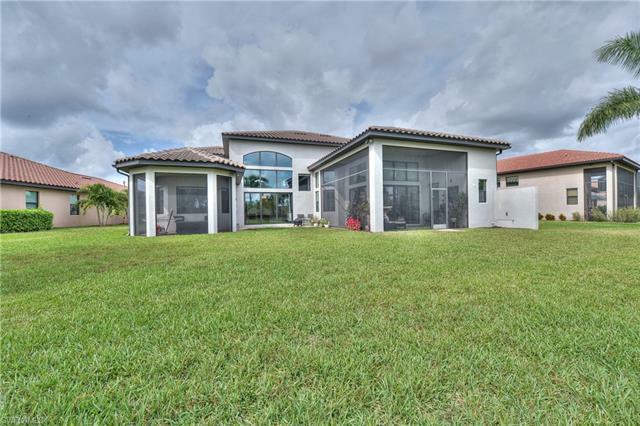 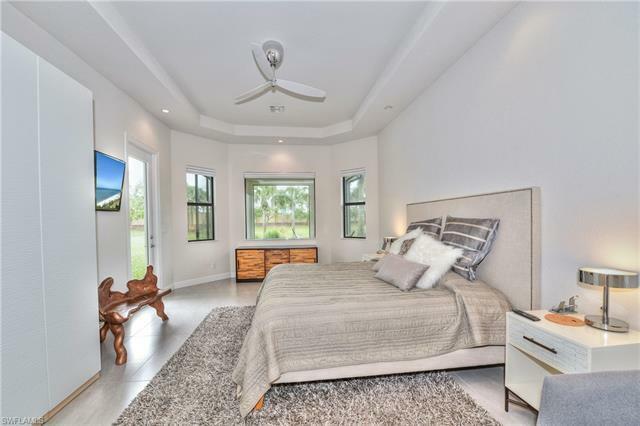 The exterior is surrounded by lush tropical landscaping; 2 screened lanai areas, and plenty of room to add a pool and spa package. 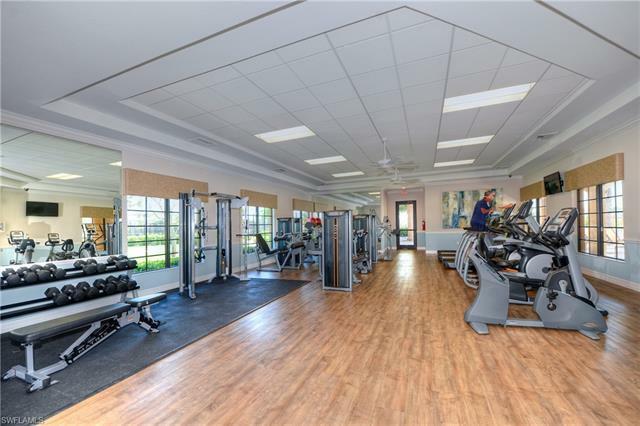 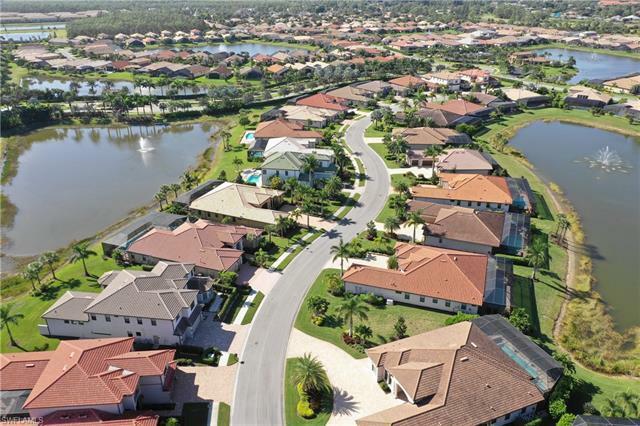 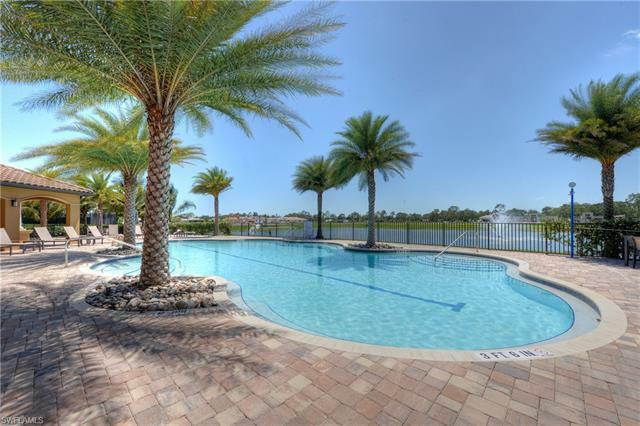 Bonita Lakes has a resort pool, social room, fitness center, bocce court, tennis courts, and more.